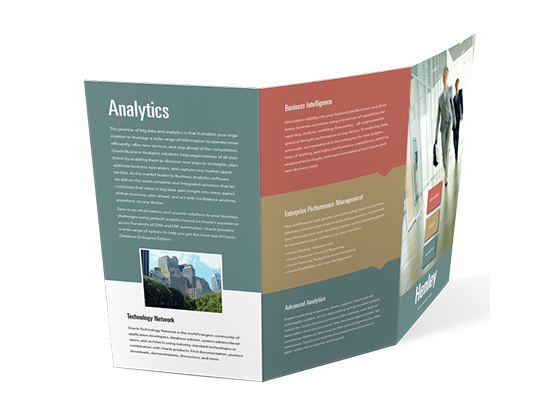 Boost the impact of your print brochure with tri-fold brochure print services from PGprint. Our tri-fold brochures are simple, but pack a powerful marketing punch. Tri-fold print brochure services at PGprint are a powerful way to change your brochure from boring to brilliant. Brochure looked great. Fast turnaround and great customer service! Everything turned out perfectly and the staff was so responsive and accommodating. Excellent work, again! Thank you. Everything we ordered was amazing! Such great quality, and Eric was such a great help. Our business will continue to use PGprint! We are so glad to have found you. Also, we love that you are local, so we are supporting local businesses. Thank you for such great customer service as well as quality products!!! We absolutely love getting our brochures from PG Print! They always look awesome and we get them so quickly!